Today Thomson Reuters released the GFMS Gold Survey 2018, the 51st in the series of annual Surveys, looking at the shifts and developments in the global gold markets, their fundamentals and their drivers over the year and setting the scene for the future. As usual the prospect for higher price depends on risk hedging at the professional level while grass roots activity should support a higher base price this year and next. Jewellery fabrication increased by 13% year-on-year to 2,214 tonnes, helped in the main by a 58% jump in demand from India. Total Identifiable Investment posted a 24% annual decrease in 2017 to 1,205 tonnes, as moderate, though positive, ETF flows combined with weaker coin and bar offtake. Net official sector purchases rose by 36% y-o-y to 366 tonnes, aided by Russia buying more than 200 tonnes for the third consecutive year and Turkey starting to make regular acquisitions. Mine production inched lower posting a five tonne decrease to a total 3,247 tonnes. 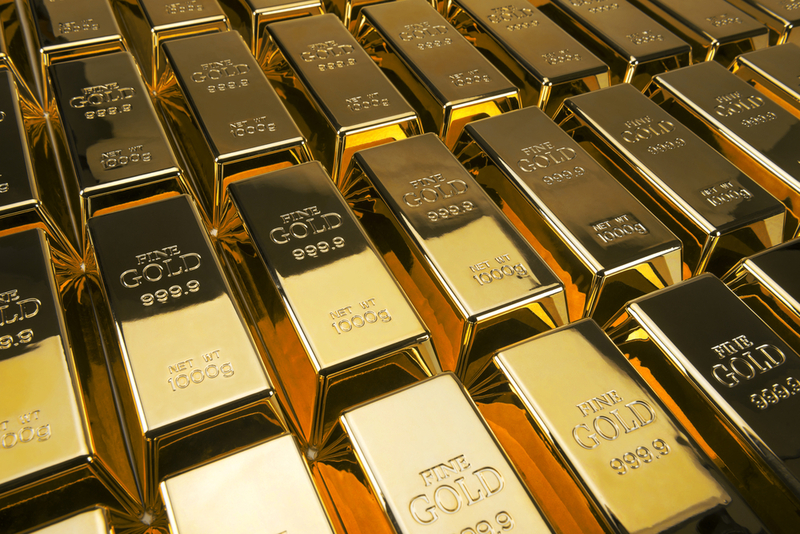 Total physical gold demand increased 10% last year, the first annual increase since 2013. The main driver of last year’s increase was a 13% expansion in jewellery fabrication. Following an acute fall in 2016 on the back of considerable regulatory change, Indian demand surged 58% year-on-year as the market stocked inventory ahead of the Good & Services tax (GST) that was implemented mid-year; full year demand was just 3% lower than that of 2017. Meanwhile, Chinese jewellery fabrication demand retreated 3%, the lowest fall since the market surged in 2013, signalling that the market has now broadly stabilised, with 2017 demand 4% ahead of that of 2012. Industrial demand rose 4% in 2017, the first increase since 2010, to 380 tonnes, buoyed by the electronics sector, which constitutes the bulk of total demand in this area. Total Identifiable investment posted a 24% annual decrease in 2017 to 1,205 tonnes. The sizeable fall was mainly the result of lacklustre demand for coins, which at 248 tonnes, was the lowest level since 2007, while bar demand also dipped 1% due to a lack of price action and competition from other asset classes. Meanwhile, ETF inventory recorded positive additions, gaining 177 tonnes in 2017 for a net dollar inflow of $7.3Bn, so that by year-end total holdings stood at 2,262 tonnes, a 9% year-on-year increase. Global mine production in 2017 posted a total of 3,247 tonnes, five tonnes below the previous year driven by environmental concerns in China and a crackdown on illegal mining in Indonesia. Further efforts were also noted in Peru and Colombia, where police and military interventions to flush out illegal miners from key areas in the rainforest region led to a drop in output year-on-year. Elsewhere, Russian production showed the standout gain at the global level, supported by a ramp-up at Olimpiada, while production in the United States rose by eight tonnes supported by new projects and higher grades at two key operations. Global scrap supply fell 7% last year to 1,210 tonnes, the first annual decline since 2014. Falls were wide spread as a stable dollar gold price and stronger domestic currencies kept gold prices contained, with the lower price failing to illicit tightly held stocks. We expect gold to average $1,360/oz this year and potentially briefly approach a 2018 peak towards $1,500/oz on any exogenous shocks later in the year as we believe that the geopolitical climate and equity markets will continue to support gold’s role as a risk hedge. Political uncertainty, including Brexit negotiations, along with ongoing tensions in the Middle East will remain gold’s key drivers.